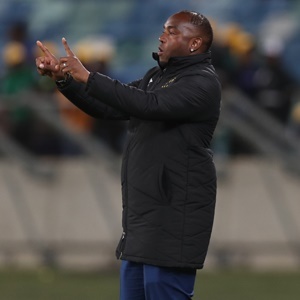 Cape Town - Cape Town City coach Benni McCarthy admits to being very disappointed at his side's capitulation to Chippa United on Sunday. City led 1-0 at the break in East London, but the Chilli Boys came out with purpose after the interval to claim a 2-1 victory, making it a third successive defeat (league and cup) for the Citizens. Having seen his side get off to such a flying start this season, McCarthy, in his first campaign as a head coach, was especially disappointed with the second-half showing against the Chilli Boys. "We dominated the first half, but it looked like we got stuck in the dressing-room in the second half," the 39-year-old former Bafana Bafana striker told the Cape Times. "The guys didn't want to play anymore, I can't even explain what went wrong. We just went to sleep at the back. So it's another loss and that's really hard to take." McCarthy must now get his side recharged as they begin their Telkom Knockout title defence with an away game at league leaders Baroka FC this weekend. "Baroka are similar to Chippa in the way they play," he explained. "They are very good on the ball, they are high-flying at the moment and they can score goals. Rest assured, if we play the way we played in the second half against Chippa, then we could be in for a hiding on Sunday. "For me, I know that I now have to tackle this problem that we have of not coming out for the second-half. I didn't even know it was there, but I will have to try to sort it out."